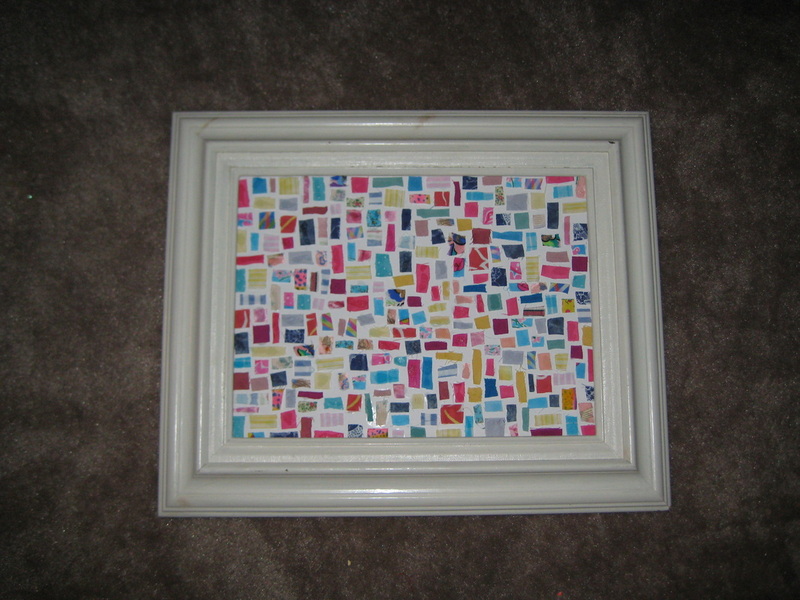 I recently got a great deal on three frames at the ReTail thrift store on Savannah Highway. They were $4, $5, and $6 each for big wooden frames. I loved their size and sturdiness and the distressed look of the white wood. I decided that they would be perfect over my bed in my bedroom. I decided to go with the blue and pink color theme of my room and to finally try out some of the art techniques I’ve been pinning recently! I sorted thru all of the tiny scraps of fabric that I’ve hoarded just for projects like this. 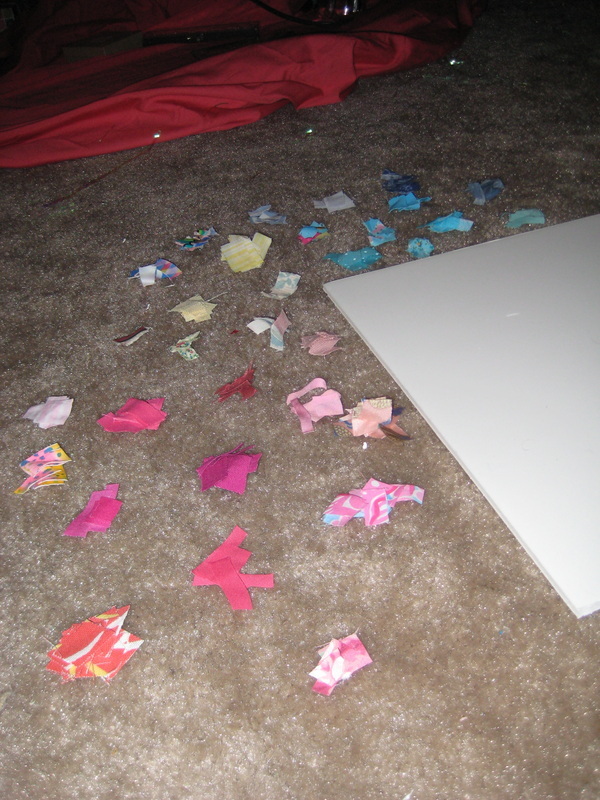 I picked out pink, blue, and yellow patterns and cut random little rectangles in varying sizes. 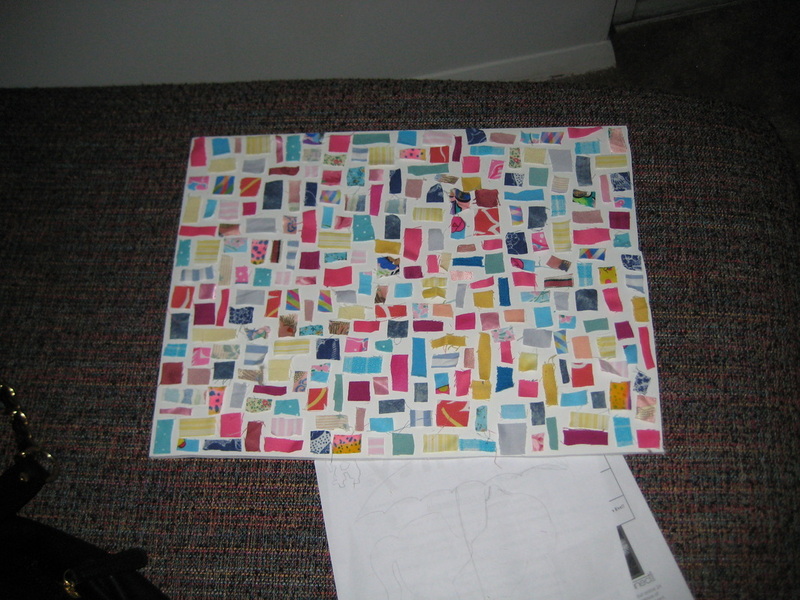 I cut 5-10 rectangles from each fabric. 2) because I was doing some “experimental” art here and didn’t want to mess up a nice canvas! I really just laid them out randomly! Then I used clear drying elmers glue to stick it all to the board. I love the end effect! Pretty groovy, huh? What projects have you done with fabric scraps lately? I love this idea. After devoting the last 25years to working and raising a family I now find myself at home almost permanently so am looking for ideas such as this. With my early retirement I have taken up quilting so will have plenty of scrap material. Thanks for sharing!! 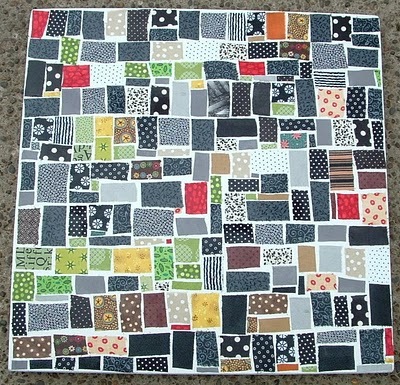 I’d love to see your quilts or how your scrap projects turn out. I wish I had the patience to sew more, I always end up angry with my machine! Lol…. the sewing machine is can determine at times how long /i sew for also. I recently finished my very first quilt. I find quilting meditative once I’m set up and started and assists me to take my mind of pain, as such it has served to get me through some long nights. I found this quilt provided me with strength and focus during a very difficult time as I came to accept my illness. Recently I gifted the quilt to a lsister of one of my best friends who was recently diagnosed with breast cancer. My hope is that she can use at times when she is needed a little extra strength. My favourite scraps project was a little pin cushion but will give your scrappy picture a go now too. That sounds awesome! Let me know how yours turns out!